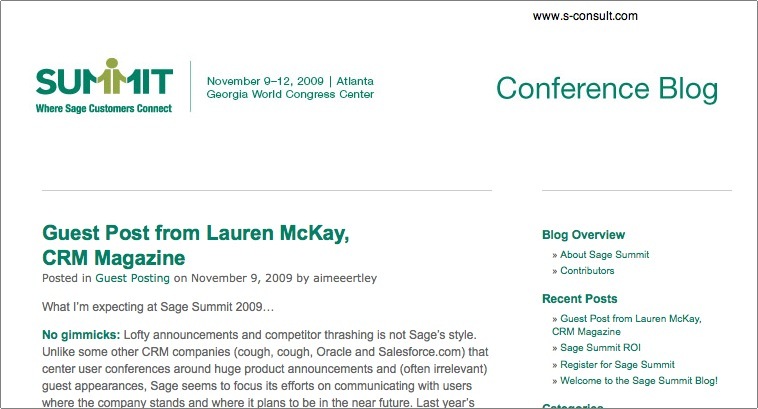 Sage North America Announced the following customer award winners during their annual Summit Customer Conference November 9 to 12, 2009 in Atlanta Georgia. The Best Use of Customization award recognizes a Sage customer who has customized their Sage solution to solve a specific business objective and achieve a sustained competitive advantage. The 2009 winner is Metropolitan Regional Information Systems (MRIS), Rockville, MD. In 2006, MRIS upgraded its legacy accounting systems to Sage MAS 500 ERP and worked with Blytheco LLC to develop and implement automated processes that simplified the entire customer invoicing and payment cycle. 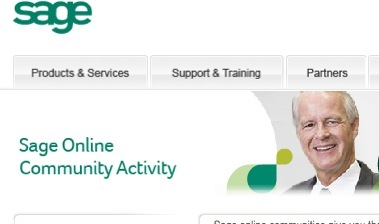 In 2009, MRIS launched an online payment service for its customers that integrated with Sage MAS 500 ERP. Since then, over 32,000 customers have used the system to pay their MRIS bills. As MRIS continues to automate its processes, they expect Sage will continue to provide the stability and scalability to make this possible. The Community Stewardship Award recognizes a Sage customer for their outstanding commitment to better the lives of the people and the communities they serve. The 2009 winner is Teach For America, New York, NY. Prior to their Sage SalesLogix implementation, the organization did not have a centralized system to track prospective candidates in the field. They have now standardized their recruitment processes resulting in a stronger applicant pool through and more targeted and effective recruiting. Teach for America worked with Infinity Info Systems on their implementation. The Best End-to-End Deployment Award recognizes a Sage customer who has achieved outstanding business results through the implementation of two or more Sage applications. The 2009 winner is Power Curbers, Inc., Salisbury, NC. Prior to their Sage implementation of MAS 500 ERP, Sage FAS Fixed Assets and Sage SalesLogix, the company was using a difficult ERP system and was spending more time managing the system than using the information. As a result of this end-to-end implementation, the company has transitioned to a pull inventory system using just-in-time manufacturing processes and doubled their inventory turns in just 12 months. Power Curbers, Inc. worked with Practical Software Solutions on their implementation. The Best Innovation Award recognizes a Sage customer who has developed a unique solution to a challenge within their industry and demonstrated significant business benefits as a result. The 2009 winner is Entertainment Lighting Services, Inc., Sun Valley, CA. Prior to their implementation of Sage MAS 500 ERP, the company was searching for a completely integrated system that could handle their unique industry requirements in accounting for rental and sales inventories as well as labor scheduling. They now have a comprehensive system that helped reduce their inventory shrinkage by 50% while the month-end close process was reduced from 4 weeks to 5 days. Entertainment Lighting Services, Inc. worked with Information Integration Group, Inc. on their implementation. The Rookie of the Year Award recognizes a new Sage customer who has demonstrated immediate business results and positive impact from their Sage implementation. The 2009 winner is Coilhose Pneumatics, East Brunswick, NJ. Prior to Sage, they were looking for a new ERP system that could unify their two separate companies and they found it with Sage MAS 500 ERP. Product costing is now automated and booking inter-company transactions is a snap. Coilhose Pneumatics worked with Net@Work on their implementation. The Lifetime Achievement Award recognizes an exceptional customer who has used a Sage solution for over 10 years, and who has survived difficult economic environments, shifting technology trends and demonstrated continuous business improvements and results over this time period. 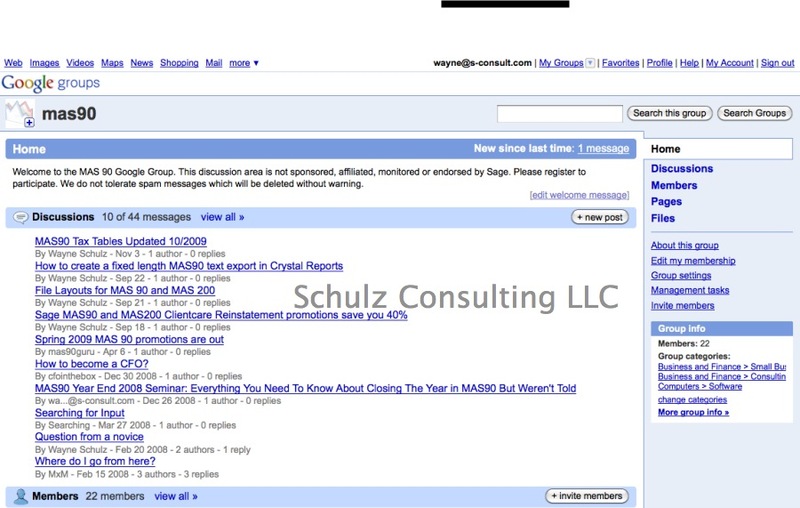 The 2009 winner is Amix Salvage & Sales Ltd., Surrey, BC. 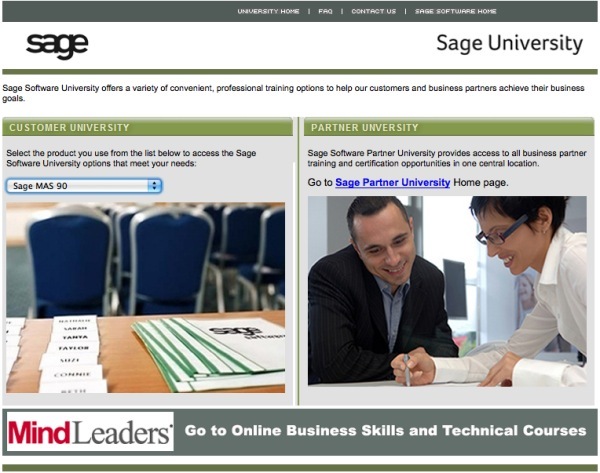 The company has been using Sage solutions for over 17 years. 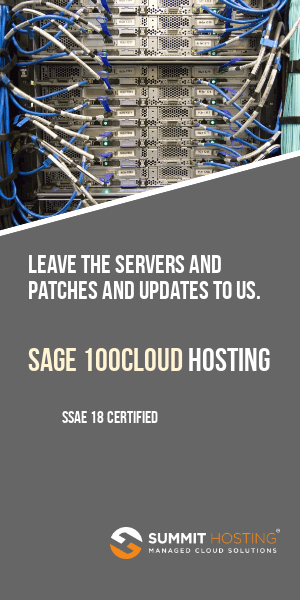 Since their initial DOS implementation, they have now grown to use Sage Accpac ERP, which has helped automate or eliminate many of their old manual processes such as the manual time entry for payroll, which saved 15 hours each week. In addition, real time perpetual inventory has saved 10 hours per month by eliminating the need for retail store workers to research inventory levels. Amix Salvage & Sales Ltd. worked with Plus Computer Solutions on their implementation. 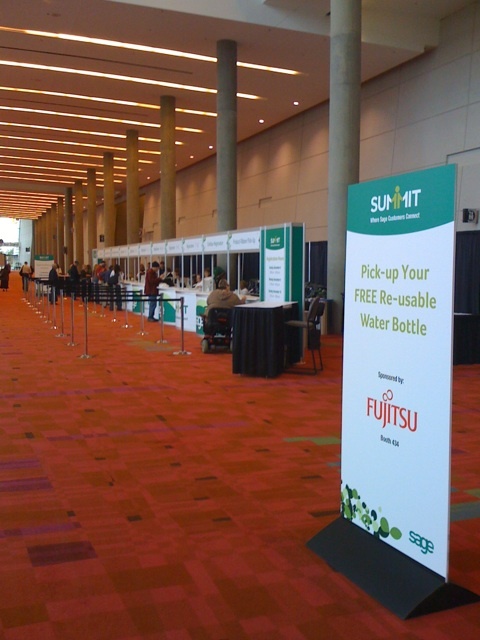 Attending Sage Summit this week in Atlanta Georgia? 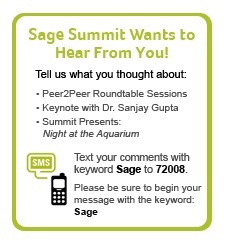 The official Sage Summit conference blog is now live with periodic updates from the 2009 customer conference. 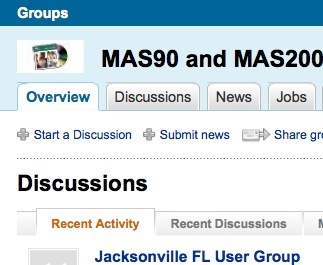 The blog contains a few guest posts that are centered around CRM. 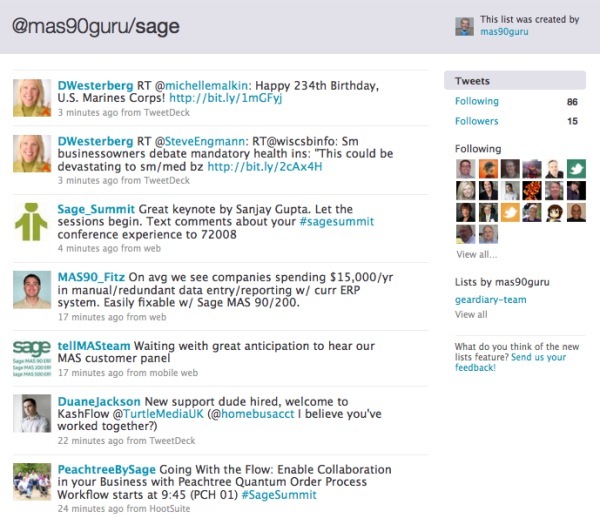 Also available is alive tweet stream that seems to capture the official Sage Summit Twitter feed – http://www.twitter.com/sage_summit. 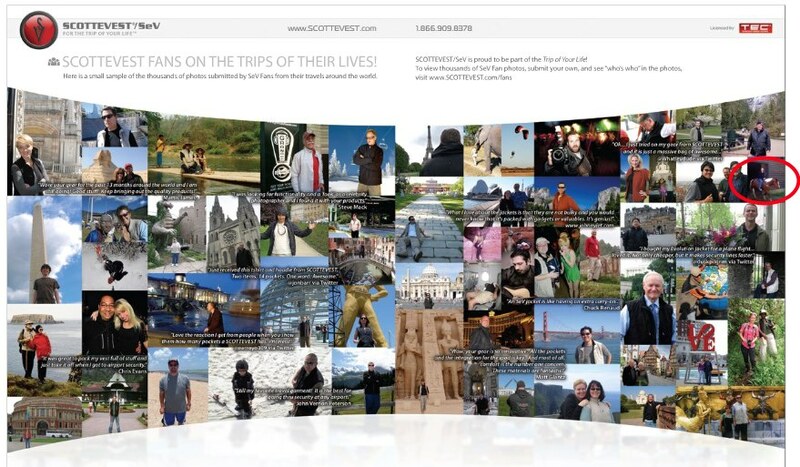 You can also save some time and follow most of the interesting Sage Twitter conversations using our Sage Twitter List which contains the Twitter feeds of 85 tops Sage employees, consultants and industry analysts.